Down Load Real Player Now! Billy Eckstine Orchestra 1946 / Frank is right front side when he was 24 years old. Born January 4, 1922 in Kansas City, Missouri. Began music training in Sapulpa, Oklahoma in 1932. Moved to Washington DC in 1935. Was graduated from Dunbar High School in 1937. Attended Howard University Music Conservatory in 1937-1938. Played in dance theater and club bands until 1941. Served in army band 1941-1945 as assistant bandleader-solo clarinet in Liberia, Dakar, Casablanca, Algiers, Tlemcen, Oran. 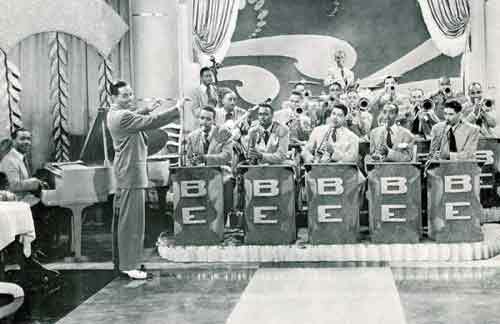 Led 17 piece swingband that accompanied Josephine Baker in concerts for allied troops in Africa during World War II. 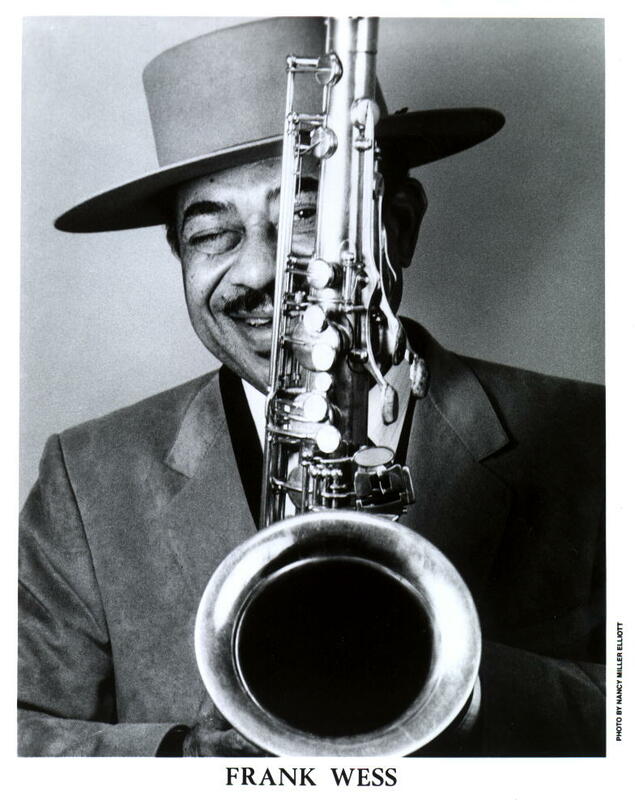 After World War II, toured with: Billy Eckstine Orchestra 1946-1947 Eddie Heywood Orchestra 1947 Lucky Millender Orchestra 1948 Bullmoose Jacson 1948-1949 Returned to Washington DC and attended the Modern School Of Music 1949-1953. Recieved bachelor of music degree(flute major). Toured extensively with the Count Basie Orchestra 1953-1964 Entire U.S.A., Sweden, Norway, Denmark, England(giving a command performance for Queen Elizabeth), Netherlands, Spain, France, Portugal, Belgium, Germany, Italy, Switzerland, Japan, Hawaii, Yugoslavia, the Bahamas and Canada. Left the Count Basie Orchestra in 1964 to free lance in New York City. (jingles, records, Broadway shows, concerts, clinics, club, composing, arranging and teaching).